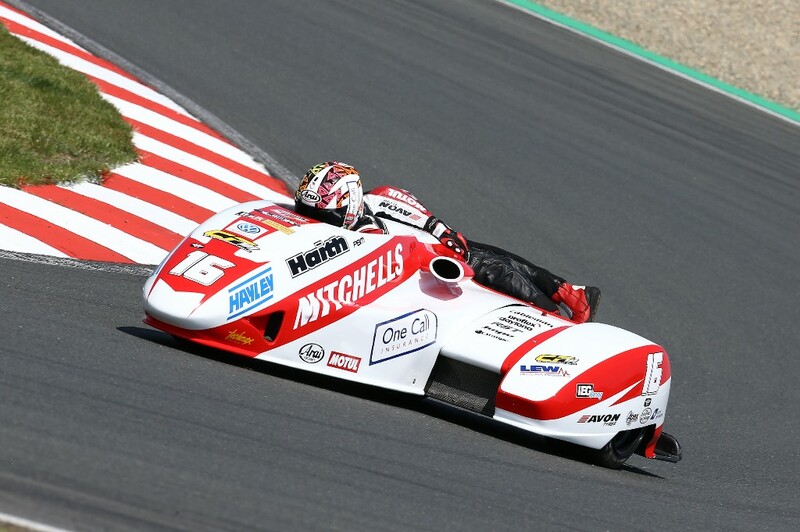 Mansfield brothers Ben and Tom Birchall took in the two races of round five of the British 600cc Sidecar championship at the weekend where they qualified in third place overall in the mixed grid of F1 and F2 outfits and took the win in both races in the 600cc class and second and third place overall. 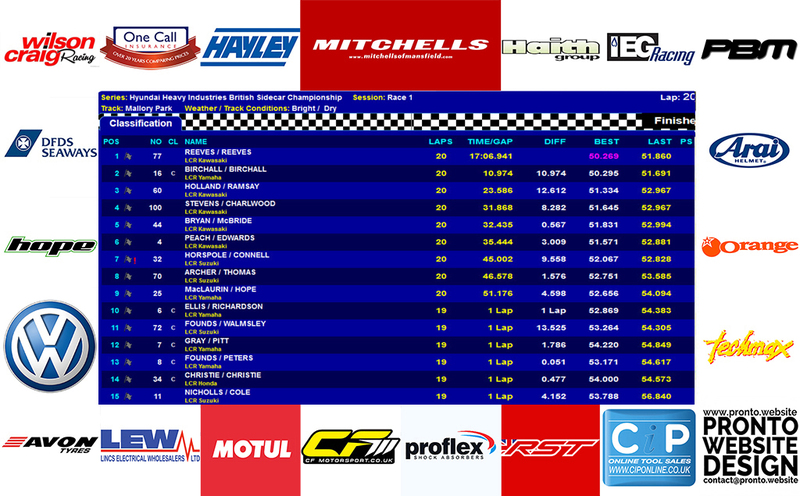 The Mitchells of Mansfield supported brothers were running second fastest through the early stages of qualifying but dropped to third to start the first race from a second row grid position. As the first race got underway Ben and Tom maintained third place overall and had built up a substantial lead in their own class by the half way stage of the race when they moved ahead of Holland/Ramsey on lap 12. By this time they and the race leader were into the back markers and by the end of the 20 lap affair they took the chequered flag for second place overall and lapped everyone except the top 10 outfits. They set the fastest lap in their own class with a 50.295s – 98.06mph which set a new lap record and were only 0.026s away from the fastest time recorded in the F1 class; an amazing achievement after giving away 400cc to the 1000cc outfits. 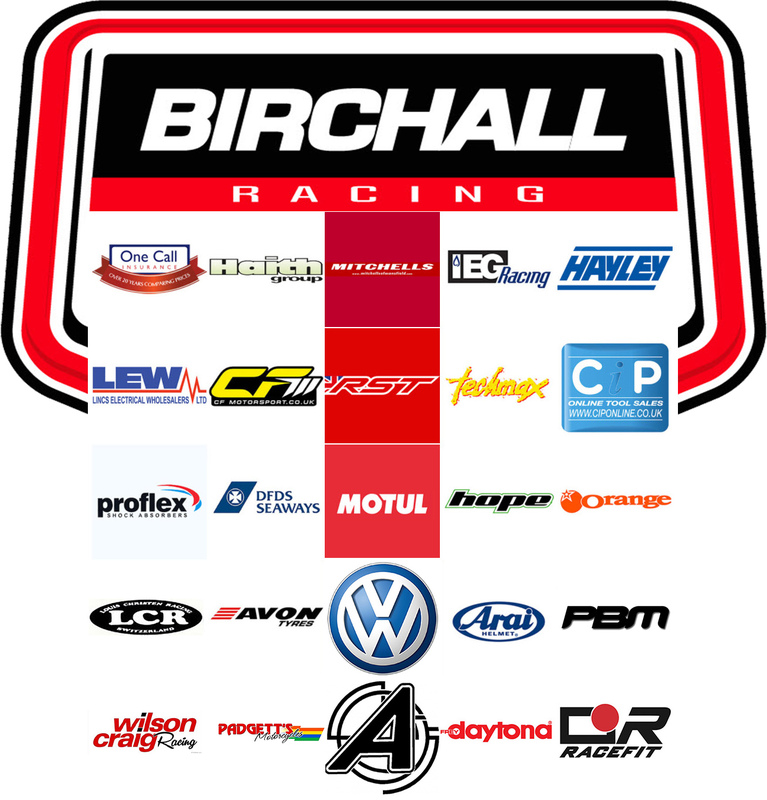 Starting the second race from the fifth row the Birchall brothers completed the first lap in eighth position. But they soon began to reel in the outfits ahead and by the half way stage of the 20 laps they were up into second place once again. Holland/Ramsey retook second place on lap 11 but two laps later the Birchalls once again got the better of them and settled into second place. But they didnt reckon with Kershaw/Clark who were gradually reeling them in and on the penultimate lap were just 0.2s adrift. 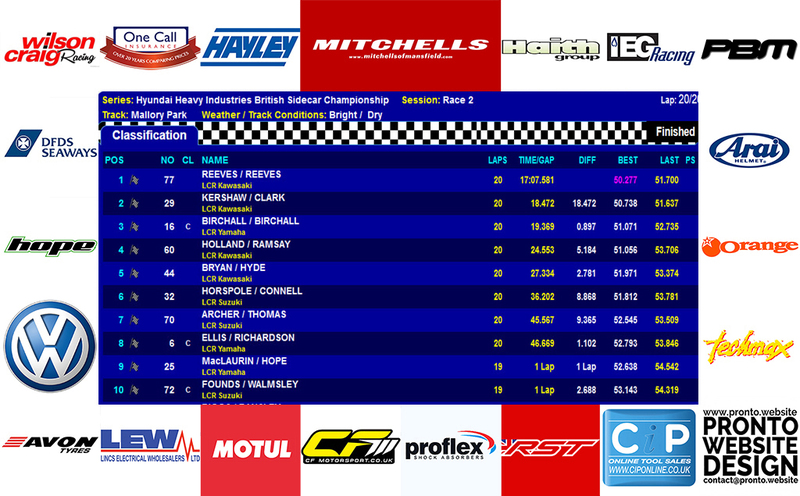 On the final lap Kershaw managing the overtake and snatched second place at the chequered flag with the Birchalls finishing in third place overall but once again taking a decisive victory in their own class, lapping all but the top seven riders. “We had a great weekend at our local track and really enjoyed the experience. These two top results move the brothers up to second place in the rider standings on 50 points after contesting just three of the five rounds to date. Ben and Tom now turn their attention to the Isle of Man Southern 100 races. 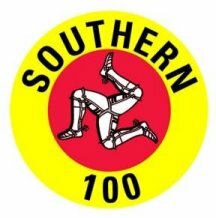 Practice takes place on Monday and Tuesday ahead of a six lap sidecar race on Wednesday and the Manx Gas Sidecar championship race run over eight laps on Thursday.